FLOSSMOOR – Residents with disabilities now have new opportunities for independent living in Flossmoor. The Illinois Housing Development Authority (IHDA) and New Star joined state and local officials to announce the grand opening of the Leavitt Apartments, a new six-unit apartment building and the first single-site supportive housing development for adults with intellectual and developmental disabilities financed by IHDA. All six apartments are specifically designed to allow residents – who would otherwise live with family or in group homes – to live independently with the help of services provided on-site by New Star. Located within walking distance to the amenities of downtown Flossmoor – including the Metra station, library, post office and more – the Leavitt Apartments offers new options for those who do not need the 24-hour services of a group home. Individualized supportive services provided by New Star, including education, life management skills, vocational services and enrichment programs, create a unique opportunity to balance residents’ desire for independence with their personal service needs. 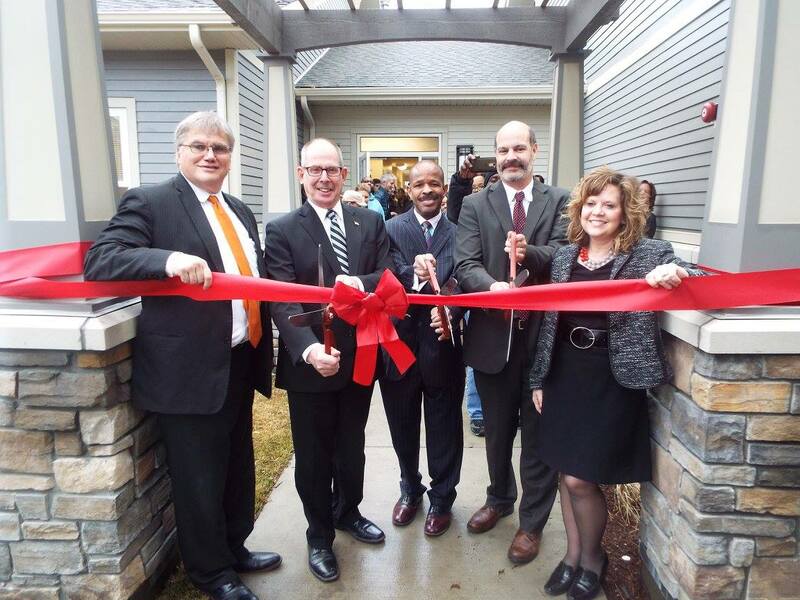 Developed by New Star and Brush Hill Development, Leavitt Apartments was financed entirely with $2.3 million from the State’s Build Illinois Bond Program, which provides affordable housing grants, loans and investments with an emphasis on serving low-income persons with disabilities. In addition, rental assistance for all six apartments will be provided through the Housing Authority of Cook County. For more information on leasing and waitlist status, contact New Star at (708) 755-8030. IHDA (www.ihda.org) is a self-supporting state agency that finances the creation and the preservation of affordable housing across Illinois. Since its creation in 1967, IHDA has allocated $18 billion and financed approximately 255,000 affordable housing units for residents of Illinois.